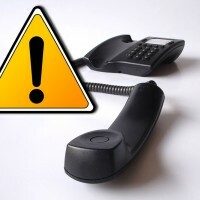 Telemarketing complaints are on the rise and continue to top the annual list of consumer complaints collected by the Wisconsin Department of Agriculture, Trade and Consumer Protection. Department spokesman Jerad Albracht says more than two out of every five complaints received by the agency last year were regarding calls from unknown numbers, unwanted sales calls or scam calls. Landlord/ tenant complaints held steady at the second spot, telecommunications remains at number three and home improvement moved up one spot to number four on the list. In only its second year as a formal complaint category, Medical Services jumped two spots to number five on the list with 255 complaints, an increase of more than 30 percent from 2017. Rounding out the top ten are identify theft at number six, motor vehicle repair, gas pumps,including credit card skimmers, motor vehicle sales, and fuel quality complaints.